Hey guys! Hope you are all having a lovely day and enjoying the sunshine! Particularly if you are from the UK. Who would have thought we would get this weather in the UK for this length of time? My skin color is naturally a tan sort of color however it has managed to go extremely dark over the last few days. Crazy! Definitely not complaining though. After all the snow and rain we have had this year we definitely need a bit of sun to make up for that. If you read my Sleek Haul then you would know that I bought the Sleek By 3 blusher in Lace a while ago. 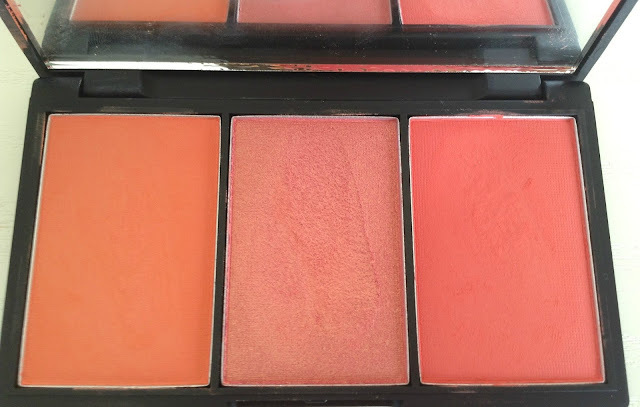 These blushes and the sleek brand in general have definitely been one of the most raved about brands of this year so far so I finally caved and bought this trio of blushers. Now when it comes to orange/coral make up I normally stay clear however, something about this palette just made me go for it and try it out and so I ended up stepping out of my comfort zone and not only does the colors suit me quite well but I am also in love with this palette. The packaging for this palette is one of my favorite aspects of this product. It is strong, durable and makes the product look more like product from a higher end brand. I find that it definitely lives up to it's name. It is definitely not the type of packaging you would expect from a drug store brand. At the back of the packaging there is more information about the product which states the ingredients, the shade, the 3 colors that are located within the packaging and also information on how pigmented they are which is very important when purchasing a blusher. Within the palette there are 2 matte colors and a more shimmery color. From left to right the colors are Crochet, Guipure and Chantilly. 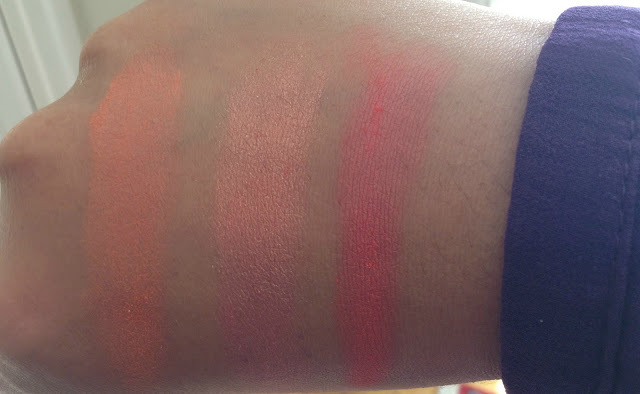 As you can see all three colors are incredibly pigmented, however I think they go with all skin tones. I tend to use Guipure and Chantilly more as I do not think that the Crochet one suits me that much as it is a very bright orange color however it is a perfect shade for the summer months. I love the big mirror that is located within the compact as well. This is perfect for topping up your make up on the go. I tend to use this mirror even when I'm not using the blushes on the go as it is just a perfect size when applying lip gloss, mascara etc. As you can see from the swatches above they are very pigmented and like I've said suit all skin tones. One of my favorite things about these blushes is that they are not too powdery. The formula is quite smooth which means easy application. 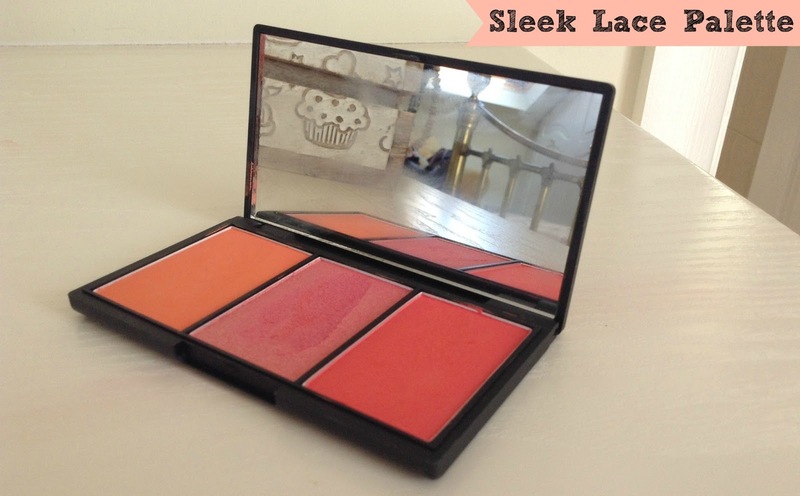 As these blushes are so pigmented I tend to apply it to my skin very lightly. The blushes are all quite buildable so if you prefer a more intense color on your cheeks then this would be perfect for you. However be careful not to apply too much. I did this once and ended up resembling a clown. Definitely not a good look. The durability of this product is excellent. The blushes lasted a good 6 to 7 hours on my cheeks meaning I really do not need to top up on the go at all unless I want a bit more color. It starts to fade after the 7 hour mark though. Overall I would definitely recommend this product to any of you looking for a brighter blush color or if you are just looking for a new blush in general. I absolutely love this palette. The 3 shades within the palette all compliment each other perfectly. Orange is definitely the in color for Summer 2013 so this is definitely something I will be keeping in my handbag for use on the go if I need a quick top up. 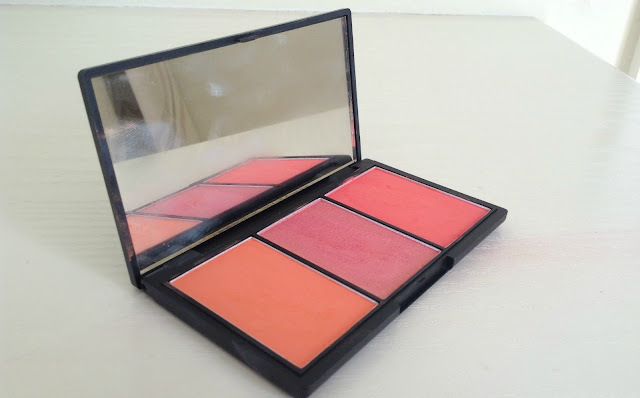 This product is only £9.99 and considering you get three very pigmented blushes in one packaging that last for practically a whole day this is a complete bargain. Make sure you don't miss out. 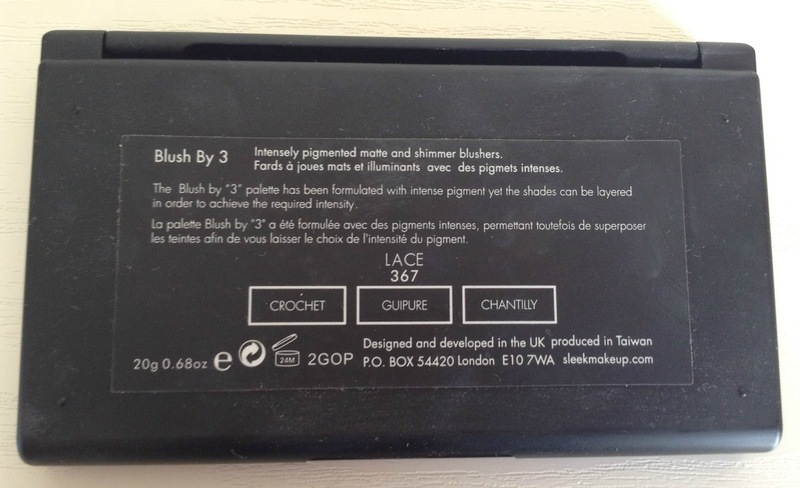 Do you already have this blush? What are you views on it? 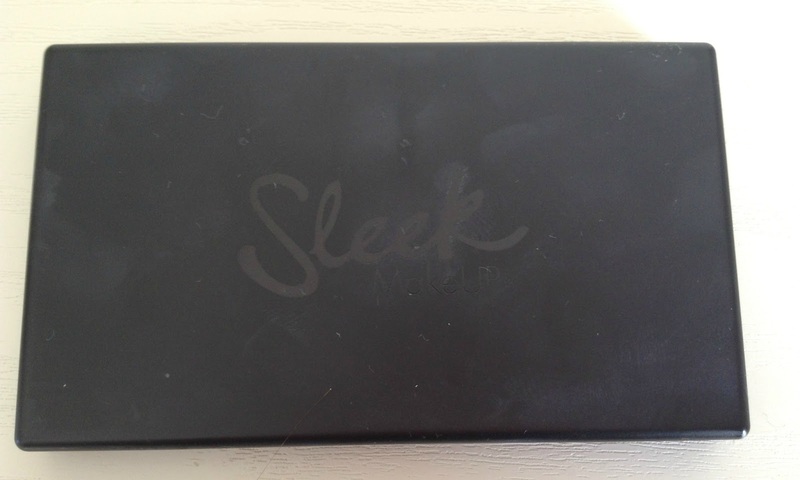 Do you have any of the other Sleek By 3 palettes? What would you recommend? Let me know your thoughts in the comments section below. Oh I have used this! Really pretty blushes I must say.